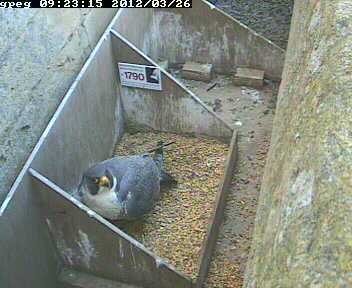 The female visited the nest tray several times today as shown above. Fingers crosssed that we may get the first egg by next week-end. As we might miss the event, we would welcome any observations from those of you that follow the webcam regularly.